Essential for work that requires controlled application. 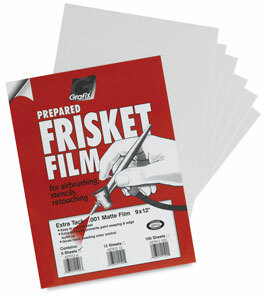 Frisket film is a transparent, matte, masking film, compatible with almost all surfaces. Perfect for light protection, pre-cut stenciling, and masking and cutting. Easy to peel. Leaves no residue.